Don't waste another minute on two legs. Saddle up at Fallowfield! We have school horses for riders of every age and skill level. 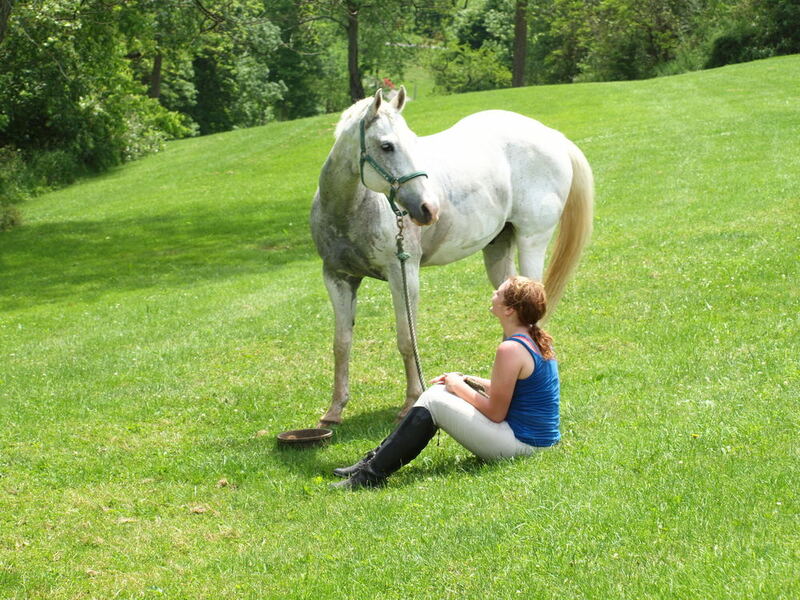 Safe and reliable, our horses will teach you more than how to ride; they'll teach you how make friends with a horse. Whether you're looking to brush up on your skills for the upcoming show season or learn how to hold the reins, our instructors strive to teach more than just the in-and-outs of how to stay in the saddle. Riders learn to groom, tack, feed, bandage and just about every other thing our instructors can think of to teach them about horse care. Set in the rolling hills of southwestern Pennsylvania, Fallowfield Stables offers a beautiful, relaxing atmosphere for our students. Whether you're driving south from Pittsburgh or north from Morgantown, you'll appreciate the paradise we've carved out around us.